The Little Bald Kid is Back…Guess Who? He’s bald, each day he grows some more…he’s Caillou…and he’s back with a new season of fun to entertain children and annoy the fudge out of parents everywhere. Last weekend, a slew of new episodes premiered in a four hour whiney-action packed marathon. My girls watched parts of it. I wanted to poke my eyes out with a spork during every second. Usually with a new season, characters look older or different in some way. Well, Caillou must be trapped in some kind of time warp where he doesn’t grow hair, doesn’t mature, and never changes his style of clothes. He is just as annoying as he was last season. Nothing has changed. He’s just put in different situations where he still whines until he gets his way. The only character who seems to grow just one shoe size and slightly less annoying is little sister Rosie. At least this season she’s talking more and seems to have a better grasp of just how annoying her big brother really is. I’m hoping to see her use their cat Gilbert in some kind of hostile takeover where Caillou somehow disappears into a polar vortex. Somehow. Caillou’s mom has evolved as well this season. She’s taken up yoga. The poor woman probably needs a little zen dealing with that little annoying booger. I’m surprised she hasn’t taken up drinking as well. The only bright light she has is her little girl. Even her husband is annoying. Wonder where Caillou gets it from? The apple really doesn’t fall far from the tree. Speaking of Caillou’s father, when have you seen a grown man in a massive bubble bath with his child’s rubber ducky? Weird with a capital “W” if you ask me. There’s one scene where Caillou opens the door to find daddy lathering up in the tub. They both giggle as Caillou shuts the door. Other strange things happen in that tub too. Caillou has his equally annoying friend Leo over for a sleepover and the two little boys bathe together. First of all, I have never heard of friends taking a bath together during a sleepover. Secondly, if your sleepover buddy is so dirty he has to take a bath at your house, there’s a problem. Lastly, what’s wrong with his mother putting the two boys in the tub together? I think she’s done too many shoulder stands at yoga if you ask me. I don’t want my kids to think they are going to go over to their friend’s house and take a bath. Ever. There has been one bright light during this new season. There was some new kid Andy (I think that’s his name) who didn’t want to be friends with Caillou. Alleluia Andy! I think he’s the only one who sees Caillou for what he is. I wouldn’t want to be friends with him either! Andy is the only one who’s had enough fruit snacks to stand up to our little bald headed beast. As we continue to watch Caillou’s escapades, I am hoping to see him mature, even if it is just with one hair on his head. I will also be looking to see if he can stop whining for just one little episode. It would also be fantastic if his mother would finally just yell at him like all the rest of us parents out there want to. He’s your kid woman, just do it. And while you’re at it, take the rubber ducky and bubble away from your husband! I’ve always known my daughter has an active imagination. A very active imagination. She makes up friends, talks to them, plays with them, and sits next to them at the table. She’s crazy when it comes to stuff like that. I just never thought she would take it outside the walls of our house. I was wrong. This morning, we had our first parent-teacher conference. I was wondering what the pre-school teacher was going to say. I know they have been doing Kindergarten readiness tests with the kids, so I was very curious to see how she scored. As a parent, I was obviously concerned and wanted to make sure she was on track with everyone else. Thankfully, we’re just where we need to be when it comes to the ABC’s of learning and ready for Kindergarten in the fall. The fun part came when the teacher went over some answers to some simple questions. She asked her when her birthday was and how old she was. July and 4. She asked if she had a birthday party. Yes. She even named some people who were there. She asked how many brothers and sisters she has. She answered correctly about her sister and then added that she has a five-year-old brother named Michael. Wait, what? My husband and I started laughing. She has no real brother. At home she has an imaginary brother who pops up every now and again. We can’t tell who he resembles, but he’s there and sometimes has dinner with us…when he’s good, my daughter says. But, I never thought she would tell her teacher about him. Like I said, she has a very active imagination. Next, she was asked what Daddy does and where he works. She got the place right, but said he does “tricks”. He’s not a magician, but he does do a lot of fun things with them that could be considered “tricks” I guess. Thankfully she didn’t say mommy does anything with “tricks” because if she did we would have had a lot more to talk about! Then, she asked what I do. My daughter said I work at the same place as Daddy. I don’t. I am a SAHM and do some freelance writing. I was really afraid she told her teacher I shop because that’s what she came home and told me she said one day. My daughter also said she told her teacher I drink wine. Not a lie, but not something I need to talk about with her teacher! I guess the saying, “from the mouths of babes” is true. You never really know what kids are going to say. I know it could have been much worse. At least we got some good laughs! The crib has always been a place where I knew my child was safe. It was a place where she could sleep and play and I didn’t have to worry. It was place where I could put her if she was getting too crazy, especially when she wanted to run up and down the stairs when I was trying to get stuff done. It was all that and a bag of chips until she learned how to use those little legs to climb. We knew it was coming. We just thought we had a little more time before we had to bust out the toddler rail. Well, we were wrong. Let me set the scene for you. I’m sure many of you can relate. It was your typical Thursday night. I was getting my two-year-old and her four-year-old sister ready for the bath when they were running around like maniacs. I was trying to get everything ready for bath and bed as they were jumping around and climbing in and out of the tub. How annoying! Did I mention it was the end of an exhausting day and I just wanted to sleep? Frustrated and fried, I yelled for them to stop. After no one listened to me for the tenth time, I decided to put my two-year old in her crib. At least she couldn’t go far there. Yep, I was wrong. Five minutes later I walked in to find her with one leg over the side of the crib! Her other foot was off the mattress as her little arms pushed with all their might to catapult her to freedom. Luckily I walked in when I did! I scooped her up to safety. The next day the big rail came down and the toddler rail went up. I guess that little incident was her way of telling me she was over the crib (and the rail)! I obviously didn’t have a baby monitor on during that little episode (although I probably should have). I thought we were over those days, guess I was wrong again! Perhaps if I had a cool monitoring device like Dropcam, I wouldn’t have been so surprised when I walked in the room. If you’ve had moments like mine or other “Tales from the Crib”, share them with Dropcam. They want to hear from you! In my past life I used to write about shootings, murders and car accidents like they were nothing. I could have done it in my sleep. The words “gun”, “killed”, and “died”, would roll off my finger tips and lips as if I was singing a nursery rhyme. Even after my first child was born, I used to wait for the big story, a.k.a. a big accident, fire, or other tragedy, to lead off my newscast. Someone else’s heartache was the big story I was waiting for all day just so I could have the best show. I was wrapped up in such a little bubble of death and negativity that I never gave one thought if a child was going to hear or see one of the stories that really made my day. That is, until recently. Let me start off by saying I don’t round up my girls to sit down and watch the news. But, when it is snowing for the second time in two days and there’s been no school, you better believe I want to know when all this crap is going to stop. So, with that said, I turned on the news to find out the forecast. It was, of course, the lead (because we all know “weather wins”). Shortly after I heard the depressing news of how much more snow we were going to get I went into the kitchen to start dinner, leaving the TV on the news channel. I didn’t even think that my four-year-old would still be in there watching and listening because usually she runs off to play. “Mommy, they said someone got shot and killed.” I wanted to crawl in my oven and die. I didn’t know what to say. I wanted to kick myself for not switching the channel. Instead, I told her yes, unfortunately these sad things happen and I quickly grabbed the remote. As I was cooking dinner I was thinking about how sad it is that kids can’t watch the news. They can’t learn what’s going on because there’s just so much bad stuff. Although they used to be a regular part of my vocabulary, I don’t want words like “gun” and “killed” to be a part of theirs. I’m not saying newscasts need to be kid friendly. I know how it works. I know they are not meant for children and parents should not let them watch. That is why I get most of my news these days through my phone. This way I can still know what’s going on in the world without exposing my children to it. But, isn’t it sad it has to be that way? I guess being on the other side of the fence makes you think about things in a different light. Maybe someday younger kids can watch more than the weather without mommy having to run for the remote. Do you want to learn how to make money online? Are you seeking new and interesting ways to bring in some extra money while you’re at home? If you answered “yes” to any of these questions then Write From Home is the book for you. In this Kindle exclusive eBook, you’ll find everything that you need to know to get started writing from home. 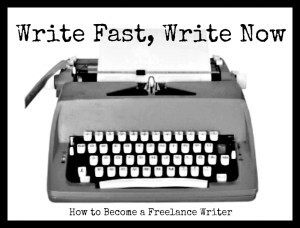 If that’s not enough, check out the author’s freelancing class on Udemy. 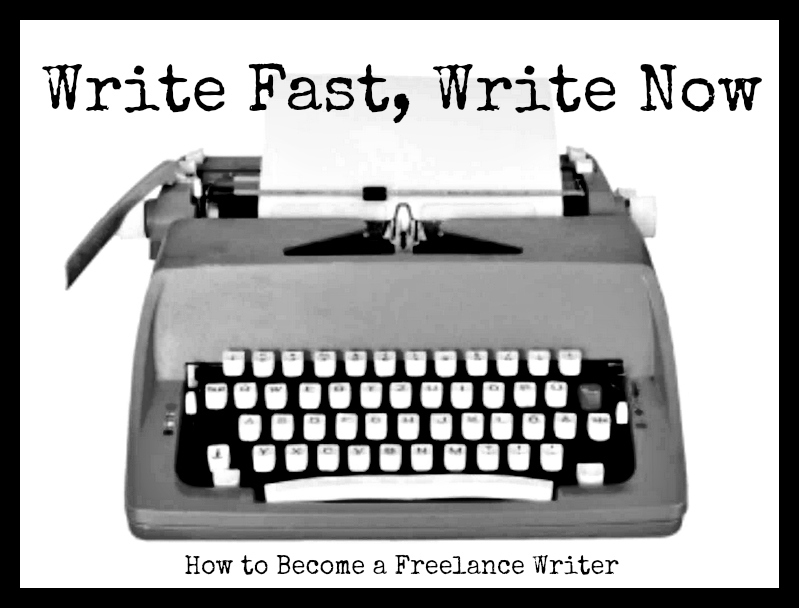 Write Fast, Write Now: How to Become a Freelance Writer will show you everything that you need to know to become a freelance writer. This class normally costs $99, but enroll today using promo code BLOGGER to take it for just $20! 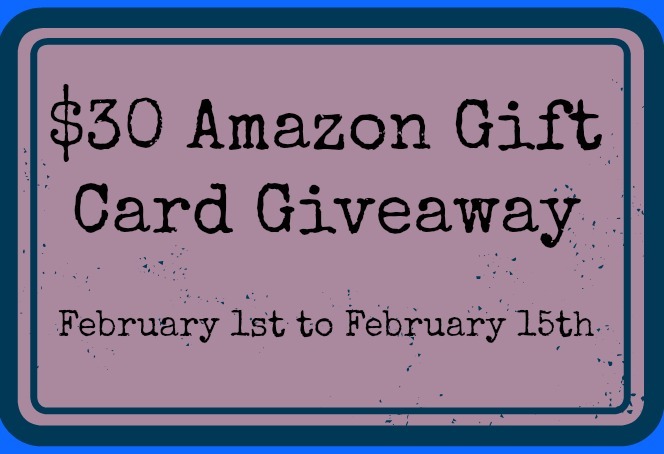 To celebrate the launch of both the book and the course, The Hungry Freelancer and Beth Jones are happy to announce a $30 Amazon gift card giveaway! Enter using the Rafflecopter below for your chance to win $30 to spend on anything you want! Disclaimer: This blog is not responsible for prize fulfillment. The gift card will be issued by The Hungry Freelancer upon selection of the winner.